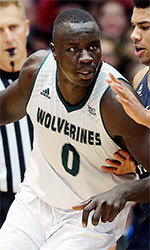 Deng Adel has committed to Louisville, a source told NBCSports. Adel is a 6-foot-7 wing forward from South Sudan by way of Australia that plays his high school ball at Victory Rock Prep in Florida. He also just so happens to be the kind of talent that is pushing for five-star status. Rivals currently has his ranked as the No. 46 player in the class of 2015, but that could change by the time the high school season begins again. Adel has long been thought to be a Louisville lean. 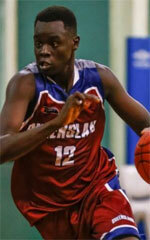 His cousin, Mangok Mathiang (6'10''-F/C-92), is on the Louisville roster and he visited the campus last month. Adel is a high-level athlete that excels in transition and has range out to the three-point line when hes given space and time. Assistant coach Mike Balado was the point man on Adels recruitment. The news was first reported by Scout.com.